Last week, Point View had a art exhibition. Our art was based on Hayley Hamilton . 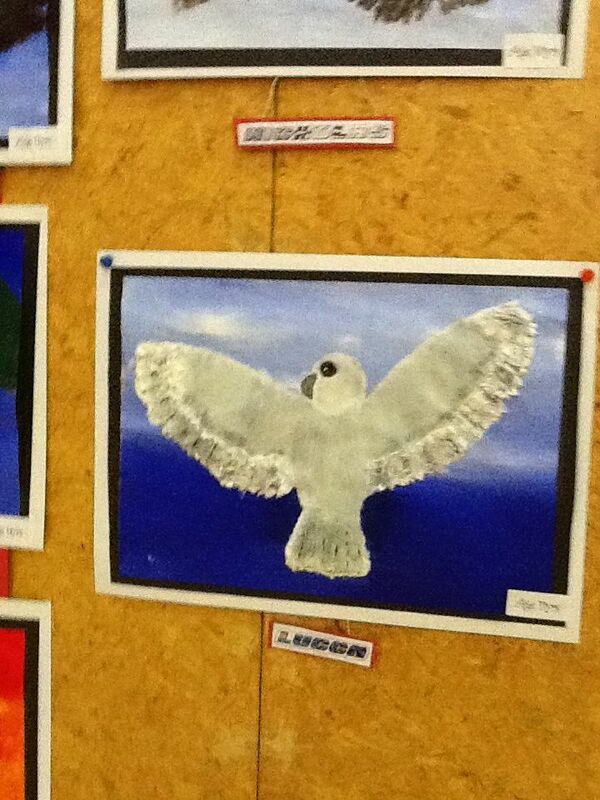 My favorite piece was a white seagull in a blue shaded background.It has white at the very top. I think they used paint for the color ,paper for the feathers and a vivid for the eyes. I loved this piece of art because the sea and the sky blend nicely. I think they used feathers for the feathers too because it looks fluffy.I hope other people will agree with me.